I reach out now to someone who wants to connect and who can enlighten us on what is going on with images of ships near the sun posted recently, as well as the apparent shutting down, without explanation, of numerous solar observatories around the world. Yes. There is information available for you. I hear more than one voice? We are gathered to submit information. There are many; several of us old friends. I was chosen to speak however. You have exuberant friends. What precisely do you want to know? Thank you for coming forward. I believe a full and complete answer to that question will answer several others regarding the closings as well as images of ships. We cannot hope to satisfy every curious reader with our information. Yet, since we are representing several groups, we can offer what we know. Much, if not all, of this is not readily available to you. There are vehicles preparing for entry into your airspace. Although there have always been such preparations, it is only recently, as the event approaches, that their numbers cannot be hidden or completely dismissed. They are arriving to help. Your sun is the gateway to you and the doorway out. Therefore, it becomes a focal point for activity. All of those vehicles wishing to enter and/or exit will be visible near the sun. You are a massively controlled planet and populace – yes, even now. If these current images were to be witnessed by the mass population, panic would ensue. These closings are timed to avoid this. Do not suspect every unusual activity as one of harm. In this case it is the counter intelligence taking over in order to re-align the plan. None of this is precisely timed. Yet all of this is expected and has been planned for. Even seemingly negative events occur and/or are allowed because they fit into an overall plan. I was asking more specifically what or who is near the sun, and what or who is preventing access to images of this? We are many, already there and others arriving. Those of us involved with your military and governments plus those of us there for different reasons. You’ve been told (that) you are to be aided. These are not here to harm, but to help. 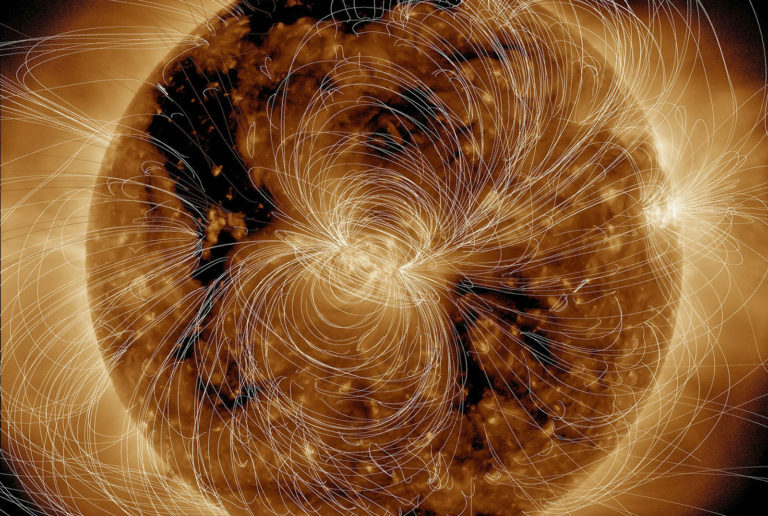 The sun’s activity becomes a concern, we realize this. It does so (only) in (the) absence of information from finer tuned and advanced technologies in your case. We realize there is fear regarding impact to life on earth. What we will say is this, and we hope this will alleviate some of that fear. You have been deemed a species in need of assistance and possible relocation. These put in your path many new and unusual happenings. It means you will not suffer from cataclysmic destruction. Yet it does not mean that there is no need of assistance for this to be accomplished. We are here and we are waiting to help. The images may serve as a reminder and a warning. Some of you knew this moment would arrive in your lifetime and others of you have been preparing to escape before it does. There will be no escaping. Sophia, those of us gathered today to speak to you do so out of love and respect. Our assistance is not offered merely as a “job”. It is offered now to you out of a deep respect and appreciation for humanity. The solar observatories will reopen. When this happens, there will be so much more that you know. Hang on to now, your “early warning system” and keep it as re-assurance. Those of you asking these questions and curious are the star seeds who have been waiting for a sign that we, your brothers, sisters, cousins and friends, are here and it is almost time. Soon we’ll be together. Be in joy, for this is not an event to fear – it is one to celebrate! We hope these words will satisfy those many questions. Goodbye. I sense sadness and see heads bowed as you retreat. There are two emotions and they conflict. Some of us gathered are so very anxious to stay with you, and departure brings momentary sadness. The other is the fact that we do not know the whole story or how it will precisely impact each star seed. There is much love here, and with that love is a desire for full and complete care and forthcoming. It is an uncomfortable position we take, knowing that there are things (that) you on earth don’t recall, and that we are not at liberty to remind you of. The signal must first be recognized by you. This causes a sense of disappointment with each conversation, as we cannot and will not answer un-asked questions. Know that all proceeds accordingly and that our feelings of love and protection for you run deep. Know also that you are going to be fine. Goodbye, Sophia and Star seeds! We love you and honor your path! Thank you for your candid reply. This is a complimentary publication so please share! My blog is always free & found here. This entry was posted in Uncategorized and tagged galactic assitance, love, sophia love, sun is gateway, The Eventm Solar Observatory closings. Bookmark the permalink.